One of the things our customers have the most problem with is dealing with pages that bleed. Often times they don’t realize a bleed is necessary but they do want images, backgrounds and art elements to extend to the edges of the page. So, what exactly is a bleed? A page bleed compensates for and/or eliminates mechanical problems when your project is being trimmed after printing. 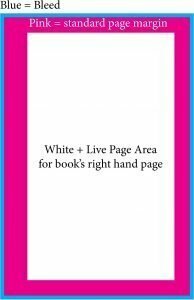 If the graphic element — pictures, graphics, or background color — is not carried beyond the edge of the page, there is the possibility that a small area of white will remain after the page is trimmed. 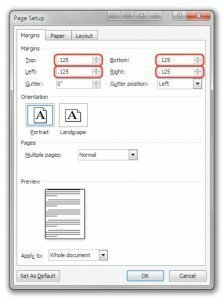 When page elements, such as pictures, graphics or background need to extend completely to the document’s edge, they will need to be extended beyond the finished page size and then be trimmed off. The amount to extend is the bleed. Typically a bleed will extend 1/8 in. (.125”, 3.175mm or 9 points) beyond the edge of the page. Bleed must be built into the file when it is created. Creating a file with bleed using Microsoft Word is not so easy. 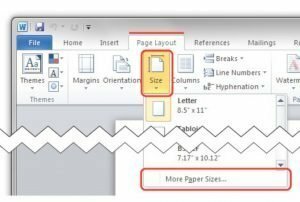 To set up the Bleed: Microsoft word does not have the ability to create a proper bleed, so you will have to set up a custom page size to fake it. 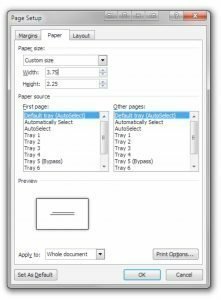 In the Width and Height boxes type in your document size in inches, including bleed. The page size including bleed is the size you want, plus .25″. For example: a 6″ x 9″ book MUST be set up as 6.25″ x 9.25″. 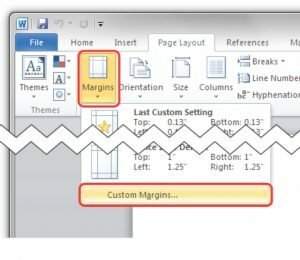 To set up the Safety Zones: There is no way to set a bleed zone in Word, however you can set margins that can act as a safety zone. Type in .125″ for each margin box. Word will not allow you to set type or place images outside the margins. 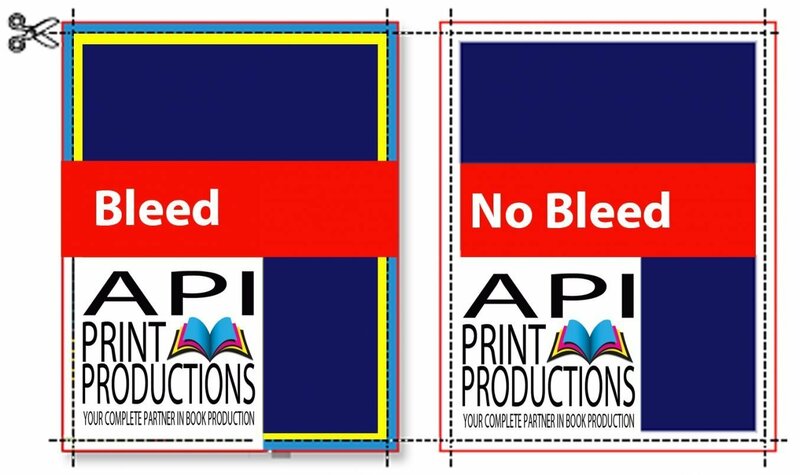 Of course if you still can’t get the hang of setting up your files for bleed, API Print Productions is always here to help.